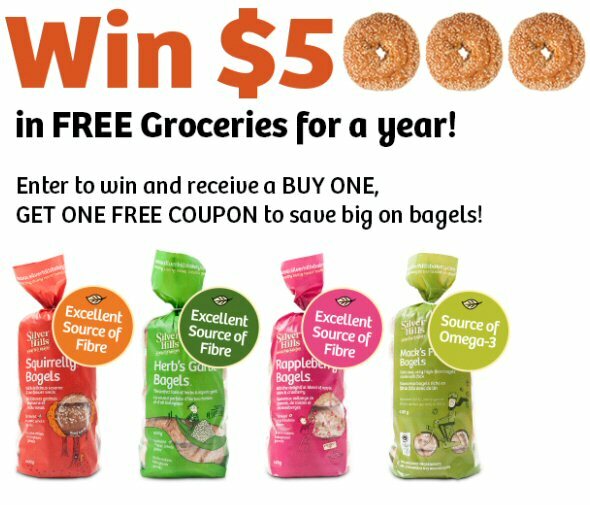 There is an awesome contest right now where you can enter for your chance to win $5000 in Free Groceries and also after you enter you will get a BOGO bagel coupon.! 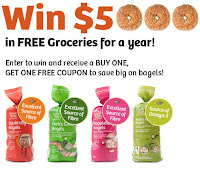 After you enter, click next step and receive a BUY ONE GET ONE FREE bagel coupon offer from Silver Hills Bakery. Click here to enter the contest now. Good luck everyone!